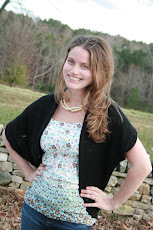 Lots of fun new goodies in the shop right now, and I'm working on stocking more! 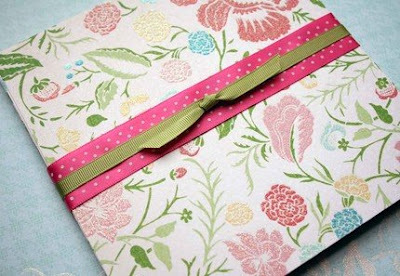 Newly added Sunday is an Inspiration Kit of Goodies. 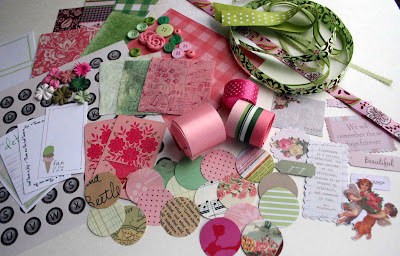 (Once again, can you tell I love pink and green? :)) I had so much fun going through my (embarrassingly large) stash, and am excited to be in the process of making more kits in different color schemes. 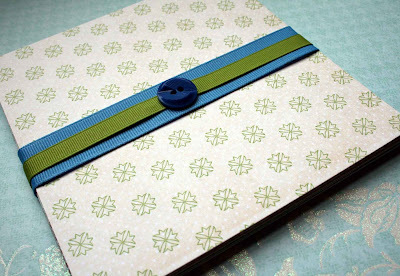 Also new in the shop: Two packs of paper - 6x6 sheets of Garden Party Glitter cardstock. 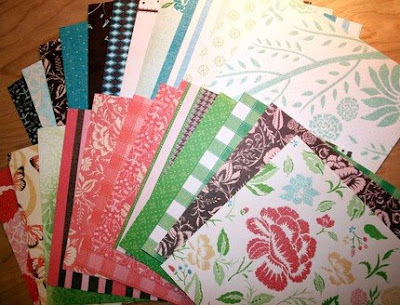 Both packs contain 24 sheets - one is a pink and green theme and the other is a sampler of every pattern in the collection. Love this collection by DCWV. The flower pattern below is my FAVE. LOVE it. 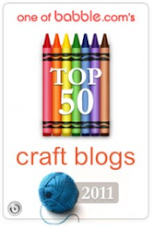 Be on the lookout for more inspiration kits coming. 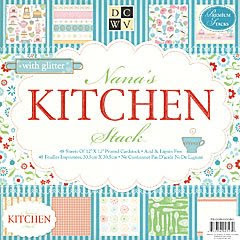 I am also working on getting the "Nana's Kitchen" collection of cardstock, also by DCWV, and hope to have sampler packs of that very soon.